Local designers share their favorite ideas just in time for the changing leaves. It's not enough to merely change over one's closets for the coming cooler temps. 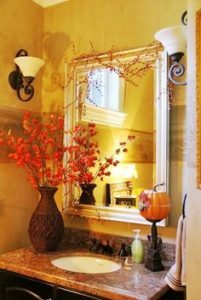 Fall also offers a chance to refreshdecor, inside and out. 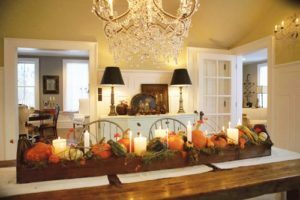 With that in mind, we sought out a trio of local designers for their insights about how to leave people awestruck with awesome autumn home style. 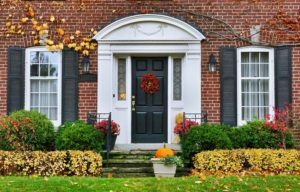 "Fall means burnished leaves and a chill in the air.To help me get into the season, I add mums to my front door.Place decorative glass-blown pumpkins around. I've collected in all sizes and colors over the years on my entrance table.Take out those comfy throws and place them on the back of a chair for when you feel that chill in the air.Add some mulled cider and you are all set!" "I love adding in natural elements from the season, and always have tall green or flowering leafy branches in the summer and spring. 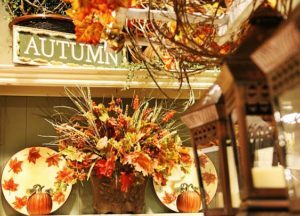 When fall arrives, I swap them to take advantage of the beautiful foliageand cut limbs of brilliant yellows and orange to put in large floor vases." "Swap out light throws and pillows. Use wool blankets and chunky, cable-knit pillows to add warmth and texture.Place bowls of fall fruits, apples, and pears or bowls of pine cones on tables to add a seasonal touch.Add a few drops of essential oil of cinnamon to the top of beeswax candles. The scent will permeate the room once lit." In the summer, our natural instinct is to lighten everything up - paler colors, more visual white space and a decidedly pared down environment. Things change. "Fall is about layering up and creating warmth," says Sally Healy, of Calgary-based Sally Healy Design. It's true that warmer, richer colors signify the season naturally, "but I can take any palette and make it look like fall," says Sally. "It's about the texture and fabric. At this time of year, [fabrics] should be more lush (think velvet) and ribbed and nubbly." 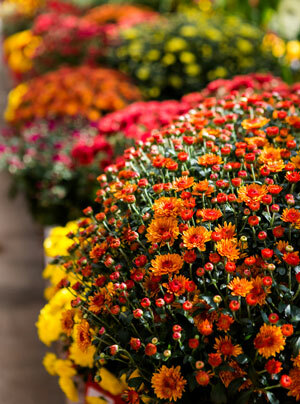 Here are some of Sally's other ideas for injecting that fall feeling into your home decor. Add area rugs. But remember that nothing looks worse than a rug that's too small for a room - it makes the space look busy. To welcome fall, lay a Buffalo or cowhide on top of sisal or another tight rug. Things don't have to be precious to be special. Cut down branches from your yard and put them in a vase that's filled with leaves and pine cones. It's cheap and fabulous. Add a beautiful throw to the sofa (wool or fur, preferably) and change the pillows (try chenille, mohair or thick port au soie satin). Hang more drapery, specifically woolen panels. They're classic and make a space feel comfy. For a less expensive option, you could just hang side panels for anther layer over your existing window treatment. Warm up your space with painted glass in oxblood red on the back of bookshelves. The reflective sheets are exquisite and cheap. 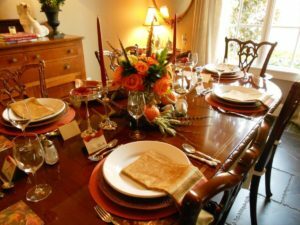 If there's a lot of wood and hard surfaces, soften things up by slip covering the end chairs or using upholstered end banquettes. On the table, mix things up with colored crystal, chargers and decorative plates. Cut colored crystal and Moroccan tea glasses - they have a richness that just feels like fall. Put bowls of coconuts on the table. The texture is perfect for this time of year, especially with a layer of baby pine cones or moss. Layer up the bed with a quilted blanket in satin or velvet. Replace white lampshades with black or something lined with gold or silver. Hang floating shelves to store books and candles and soaps. Get a long wooden tray for the counter and place vases filled with sea corals on it. Add little lamps to the vanity. If you have the room, slip cover a chair and ottoman in a warm-colored terry cloth and a wool runner.